There's just something about a cape that screams style, you know? Maybe it's the fact that they're less common than they used to be in the good ol' days (meaning the 1500s) and that they immediately bring to mind images of a brave heroine racing through the woods, trying to outrun a vicious wolf or dragon, but capes are cool. Sure, they don't allow for a full range of arm motion, but who cares when you're going for a capital L #Look? Anyways, buy a cape, look cool, be cool. Got it? Would you wear a cape? How would you style it? Such a fun trend and I love your picks! You covered everything from classic to bold! Isn't it so fun? Glad you liked my picks, Heidi! Oh my gosh - that first picture of the cape is INSANE!! 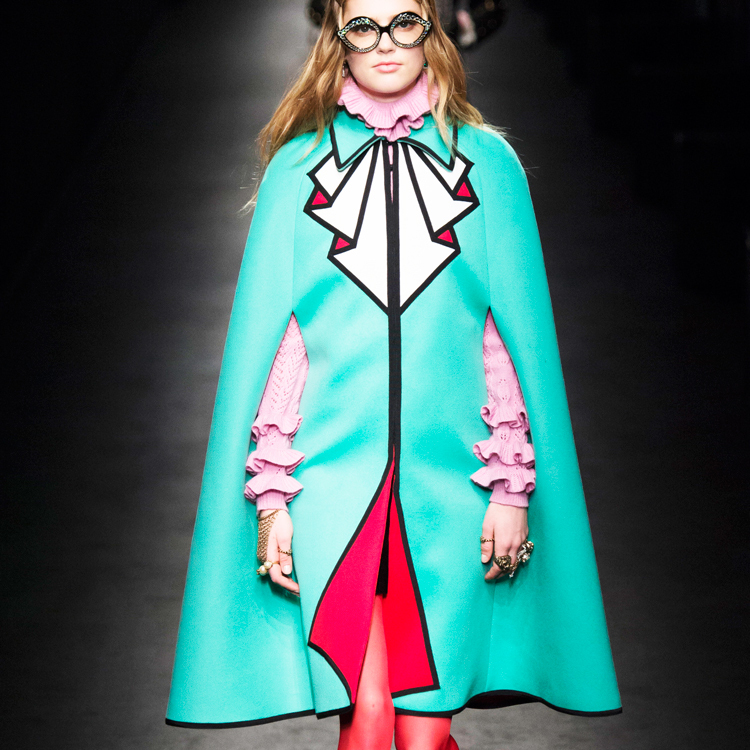 I love capes too, and have so many in my closet already! I know! It's Gucci and it's such a ridiculous coat that I have to have it, haha! And jealous, I still need to add one to my collection! 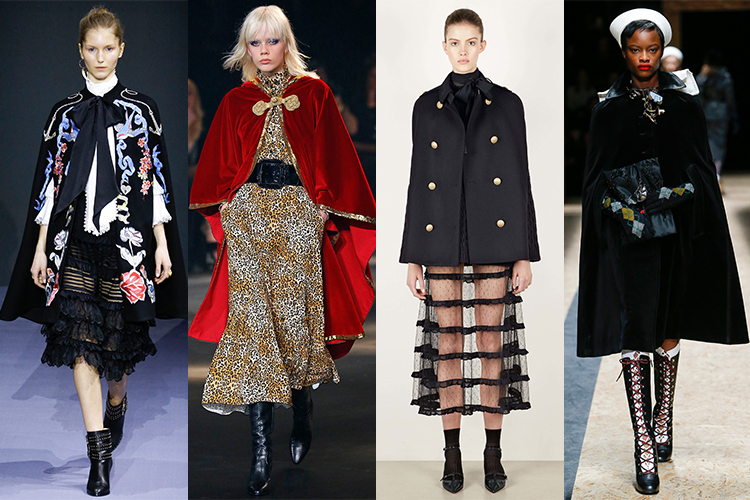 This trend is so cool, capes just make the perfect statement in a fall/winter look, I mean that cape from Gucci is just amazing! Great picks btw! I hadn't realized there were so many capes on the runway. Cool!